LEADon Podcast 01 Intro v1 (1) from LEADon on Vimeo. In this podcast Dr. Jared and Dr. Steve give an overview of LEADon, LEADon University, and their unique approach to many of today’s leadership dilemmas. The Wilkes’ expertise in identifying leadership problems and equipping leaders with the tools necessary to achieve individual and organizational success has been proven over two decades of work with a wide-variety of companies, both nationally and internationally. Learn more about the distinctive LEADon method and how its 25-year history of vetting and improving leadership strategies has assisted executives and their teams in increasing the quality of their professional lives. Drs. Jared and Steve talk about the mission and vision of LEADon and how accountability plays an essential role in their approach. You will discover how you can implement LEADon skill sets to not only develop individual leaders and high performance teams but to also create your own organizational dynasty. 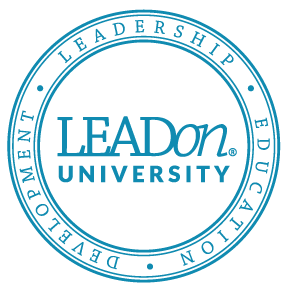 In addition, hear how the LEADon experience made a natural evolution to LEADon University, offering their proven principle-based leadership skills in a dynamic, online learning format. As Doctors of Psychology and Clinical Psychology, Jared and Steve are passionate about people and about improving the quality of their personal and professional lives. They firmly believe that the solution to any problem must begin internally first—addressing individual strengths and weaknesses and improving leadership skill sets that will be transcendent over time. Then leaders can take the next steps necessary to cascade these exceptional skills to their teams and throughout their entire company. Check out our introductory video—and then peruse the other vlogs and podcasts we have available in order to build a better organization and a better you!